This term our main focus for our Y5 Mini Police has been Road Safety. 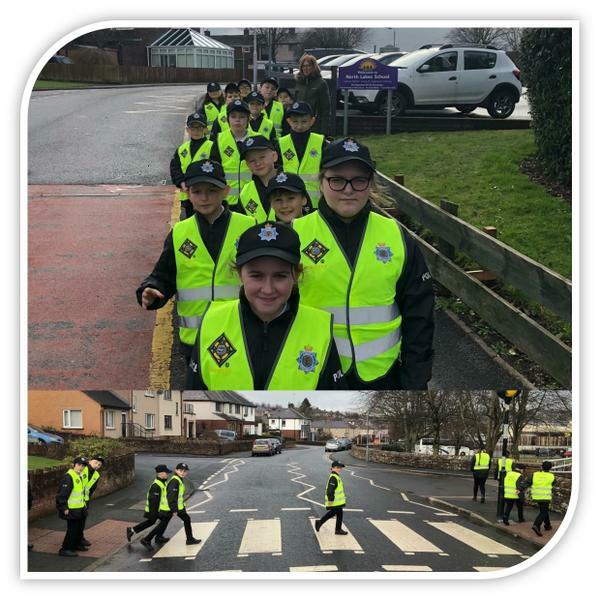 PCSO Nicolson has explored all aspects of Road Safety with our Mini Police and we have been out and about in Penrith learning how to cross roads safely and identifying hazards. We also spent time comparing Road Safety in Penrith with Road Safety in London – many of our Mini Police officers were able to use their skills in the big city too! In addition, we have also explored Online Safety and ‘County Lines’ where gangs and organised crime networks exploit children. Next term we will be visiting Winters Park Home to meet the residents and also hope to visit Hunter Lane Police Station and Penrith Railway Station.